When diagnosed with diabetes, it's important to check for normal glucose levels at home to measure the effects of medication, food and exercise. For a person with diabetes, checking normal glucose levels with a glucose monitor is a necessary task. Normal glucose levels are important to monitor, even if you have not been diagnosed with diabetes. Diabetes, also known as diabetes mellitus, is the name of a group of diseases in which the body is unable to properly utilize blood sugar (glucose) for energy. 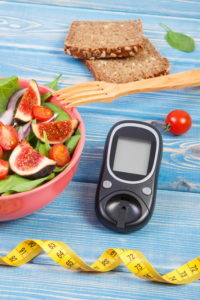 There are three primary forms of diabetes—type 1 diabetes, type 2 diabetes, and gestational diabetes—and, in each case, the body is unable to effectively move the glucose that results from the metabolism of the sugar and starches we eat into the cells of our muscles, brain, and other vital tissues. The end result: The body’s cells are deprived of their energy source and the blood sugar or glucose builds up in the blood. Most adults will have their blood glucose tested to determine their normal glucose levels as part of their annual visit with their healthcare provider. This is usually done after fasting overnight or for at least eight hours—hence its name: fasting blood glucose or FPG. If your healthcare provider suspects you have diabetes because you have not achieved normal glucose levels, they will likely perform additional blood tests including a glycated hemoglobin or A1C which measures your average blood glucose level over the past two to three months and possibly an oral glucose tolerance test (OGTT), which measures how your body processes glucose by reading your blood glucose level before and after ingesting a big glucose load. Low blood glucose, also called hypoglycemia, is usually considered to be a blood glucose level below 70 mg/dl. Hypoglycemia in someone with diabetes may be caused by too much insulin or other glucose-lowering medications. Symptoms of hypoglycemia include shakiness, dizziness, weakness, fatigue, and blurred vision. Examples of foods that provide this include 1 tablespoon of honey or sugar, 4 ounces of juice, or 2 tablespoons of raisins. Severe hypoglycemia may cause unconsciousness or seizures and should be treated with injectable glucagon, a hormone that stimulates the liver to release glucose. In addition to diabetes medications, there are other factors that may cause a drop in blood glucose level. Non-diabetes medications: A variety of different non-diabetes medications can cause your blood glucose level to decrease. Examples of such drugs are some antifungals (amphotericin), some blood pressure medications (beta-blockers like atenolol), some antibiotics (levafloxacin, clarithromycin, trimethoprim/sulfamethoxazole), and some malaria medications (quinine). Medical conditions: Diseases that affect the liver, such as hepatitis or liver damage from excessive alcohol consumption, can cause lower blood glucose levels. Diseases that cause some hormone insufficiencies, such as adrenal insufficiency and hypothyroidism, can also result in hypoglycemia. High blood glucose, also called hyperglycemia, is generally considered to be a blood glucose level above 125 mg/dl. All people with diabetes by definition have hyperglycemia in the absence of treatment, but they may experience episodes of hyperglycemia if they miss a dose of insulin or glucose-lowering medication or have taken an insufficient dose. 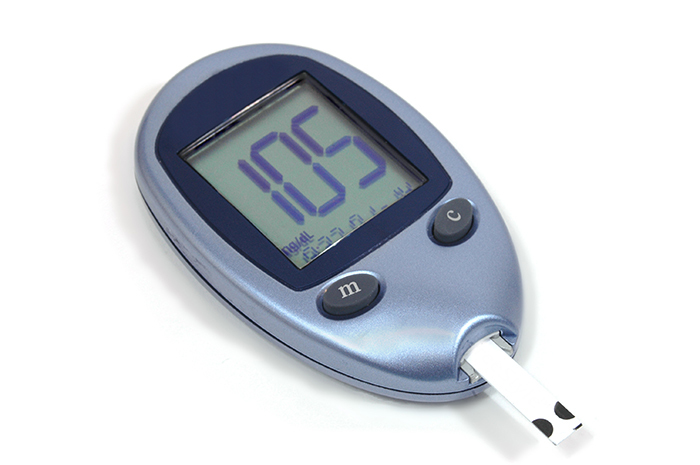 Symptoms of hyperglycemia are the classic symptoms of diabetes, such as increased thirst and frequent urination. Severe hyperglycemia, typically defined as a blood glucose above 240 mg/dl, can lead to diabetic emergencies. One such emergency is diabetic ketoacidosis, a life-threatening condition in which the body, in the absence of insulin, breaks down fat for energy and releases waste products called ketones that build up in the blood causing dangerous metabolic changes. Medications: Barbiturates (such as phenobarbitol), the antipsychotic olanzapine, corticosteroids, niacin (a form of vitamin B), thiazide diuretics (such as hydrochlorathiazide), some oral contraceptives, and cold medications containing phenylephrine or pseudoephedrine are examples of drugs that can raise your blood glucose level. Medical conditions: Stress of any sort, whether secondary to surgery, a traumatic injury, infection, or emotion, can cause a release of hormones such as epinephrine and cortisol that raise blood glucose levels. Inflammation of the pancreas, called pancreatitis, can also cause elevated blood glucose levels. Recording blood sugar levels on a daily basis assists your doctor in treatment; it’s part of the discipline that’s required of people with diabetes. 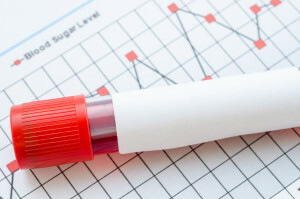 What Should Normal Glucose Levels Be If I Have Diabetes? Normal glucose levels in people without diabetes are defined as a fasting blood glucose between 70 and 100 mg/dl or a random (non-fasting) blood glucose less than 125 mg/dl, but these levels may be very difficult to achieve in someone with diabetes. The American Diabetes Association recommends that most non-pregnant adults aim to have a blood glucose level between 80 and 130 mg/dl before a meal and less than 180 mg/dl 1-2 hours after beginning a meal. Your diabetes healthcare provider, however, will help you determine the best goals for you based on your age, other medical problems, and duration of your diabetes. 2 diabetes, alcohol, alcohol consumption, antibiotics, beta blockers, blood glucose level, blood glucose levels, blood pressure, blood pressure medications, blood sugar, blood sugar levels, brain, corticosteroids, cortisol, diabetes, diabetes medications, diabetes mellitus, diabetes normal, diabetes type, diabetes type 2, diabetic, diet, dizziness, gestational diabetes, glucose, glucose levels, health, health news, hepatitis, honey, hormone, how to avoid diabetes, hypothyroidism, infection, inflammation, insulin, insulin resistance, ketones, medical conditions, medical problems, metabolism, niacin, normal glucose levels, olanzapine, Pancreas, Pancreatitis, people with diabetes, prediabetes, stress, sugar, sugar levels, thiazide, thiazide diuretics, type 1 diabetes, type 2 diabetes, university health news, vitamin.